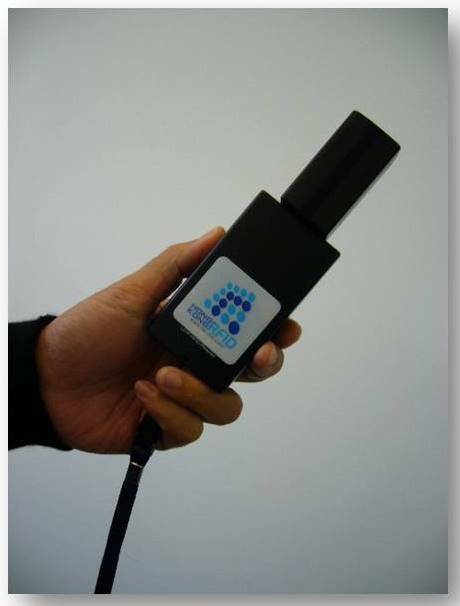 Hong Kong RFID gladly announces the launch of a new Bluetooth UHF RFID reader and writer (P/N: HKRUR-DR01). 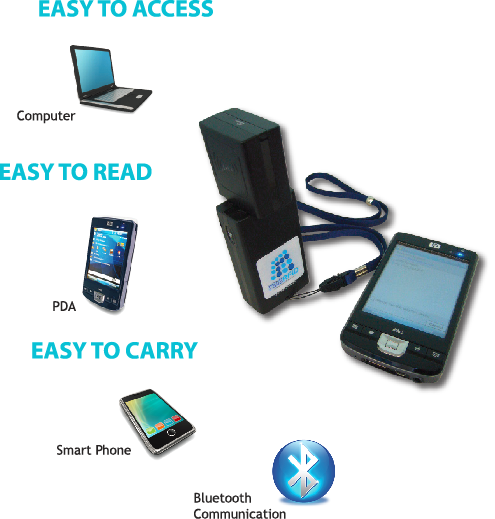 The reader supports Bluetooth 2.0 communication which connects to any host like PDAs, computers and even smart phones; allowing users to read UHF tag information with their own devices.HKRUR-DR01 consists of a 90° swivel antenna and built in UHF RFID module. The reader is lightweight and small in size. With accessories like neck strap and belt clip, the reader is easy to carry around for operations that require more mobility. HKRUR-DR01 caters for simultaneous multiple UHF tag reading. With high-speed and accurate reading, plus its compact design, the reader offers the greatest performance for on-site asset management applications, maximizing users’ work efficiency. The reader is used for a wide variety of applications such as asset tracking, distribution network monitoring and management. The reader is capable for reading and checking tag information at the same time. At point-of-sale, information of products including stock and size is read through the reader and any Bluetooth device. Staff then can explain to customers immediately, facilitating fast response to customer enquiries. Information of tags is stored in memory of the reader at sites during the reading process, and is shown in users’ own device when connected by Bluetooth communication later on anytime anywhere. At any data centre storing sensitive information where communication devices are not allowed, this feature of the reader allows separation of people handling the reading and the checking processes, so that only authorized persons can have access to the information. Extended battery life is a new feature in mobile readers allowing long working hours of the reader to cater for 24/7 operation environment. The reader can be used with different devices, which enables the use of alternative devices when existing device is out of battery. The product is available from June, 2011.